Sleek frame design is comfortable and effective. Simple dial hinge wheel adjusts unloading affect. Provides pain relief for medial joint osteoarthritis. The Breg Fusion OA Plus Knee Brace provides lightweight support and arthritis pain relief for people suffering from medial-side osteoarthritis of the knee joint. The brace features a slim design that hugs the leg and won't migrate out of place while walking. It features a Proform design featuring a Zytel polymer used on the lateral hinge bar on the outside of the knee that features a semi-rigid design to withstand normal movements and not slide out of position. This unique feature is the primary reason users enjoy wearing the Fusion OA knee brace throughout the day. 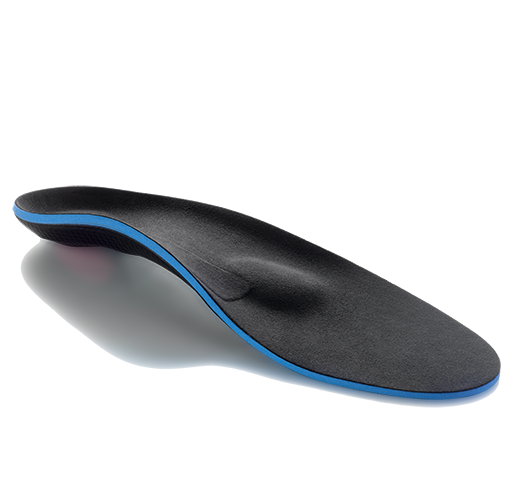 The Fusion OA features an adjustable dial for telescoping the medial condyle pad to create three points of force across the joint for effective unloading. It's simple to adjust and does not require any tools. The product provides complete support and can be used to help unload medial compartment osteoarthritis chondral defects in addition to medial compartment osteoarthritis. 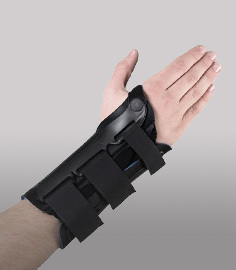 The brace is intended to treat medial compartment OA only. Lightweight design featuring Proform technology for a sleek, comfortable fit. No tools necessary for increasing the amount of unloading required. AirTech channeled padding for breathability and comfort. Fusion OA helps relieve medial OA pain and may also slow osteoarthritic deterioration. Provides complete ligamentous support in addition to osteoarthritis pain relief. Swiveling strap tabs for better brace suspension. Comes with a wrinklecoat color (standard). Available in seven sizes - please see our sizing chart tab above for specific sizing instructions. Mild to severe unicompartmental osteoarthritis in the medial compartment. Breg Fusion OA knee brace features Zytel polymer on the medial hinge bar for a semi-flexible design that's both strong and able to conform better to rotational movements occurring at the knee during movement - that means it can move with your knee and stay in place better than braces designed with rigid designs. We called and had no problem. Satisfied with the brace. It was at our door in just a couple of days. Great job! The Fusion brace was just as described and has helped me greatly. I'm able to move around without any problems and it's very comfortable. My only complaint, and it's a small one, is that the knee guards do not fit perfectly against the knee so there is slight movement. Overall it's a great device. Ordering and shipping were top notch. I am recovering from micro fracture surgery on my right knee. After looking the the different unloading braces available I chose this one after consulting with my PT. For an off the shelf brace, it fits really well. My PT was very impressed. I do advise that you get help with the fitting. I can wear the brace all day without any problems. It can be mildly irritating but I find all knee braces to be irritating if worn long enough. I find I can walk longer without pain. I routinely walk up to 5 miles at one time. I find I can exercise with the brace on with minimal limitations. 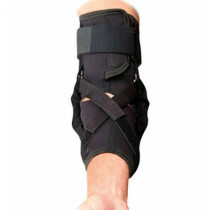 If you are athletic and active then I think this brace can help you continue your activities.